You’ve probably heard the adage if you what you’re doing doesn’t make you feel uncomfortable then you’re not pushing your limits hard enough. What does that really mean? 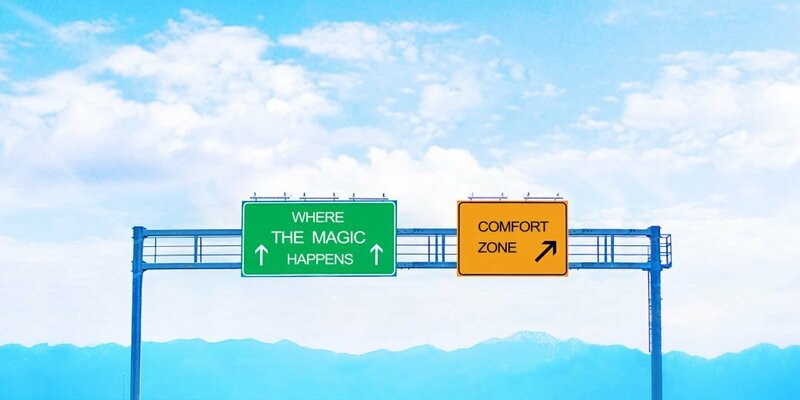 Are you doing something this week that is outside of your normal comfort zone? Let’s take a look at these key concepts to learn more about your style and make it easier to step outside of your zone. How do you feel about doing “new” things? Do you consider “new” to be exciting and adventurous or does the idea of new things make you nervous or anxious? Do you tap into the feeling of being curious and brave? Or are you scared? If you can name that feeling you can tame that feeling! Do you step easily outside of your comfort zone? Are you one of those people who easily try new things, reads books outside of your expertise or goes places just for the experience? Or are you content with the status quo of your life, your interests, your rhythm, and circle of people? When you do go outside of your comfort zone, are you intentional? And is it often? Are you curious about new ideas and experiences and do you plan for them? Do you have internal goals of trying one or two new things that scare you just a little? Or are most of your new experiences accidental or in the company of group who push you to try something new? As business owners, when we set goals and then endeavor to meet them, we are very often doing things that we have never done. We frequently find ourselves in situations or answering questions that we’ve never considered before. That is the nature of being an entrepreneur!? When something is totally new, we often ask for help, seek mentors and coaches, and do our research so that we learn and can adopt a “best practices” approach for ourselves. That asking and reaching out for help reflects both thought and intention. Have you planned it into your schedule you that you actually do it? What do you think? Are you ready to step outside of your comfort zone? Will you do it with forethought, planning, and intention? Send me a note and let me know how it goes!